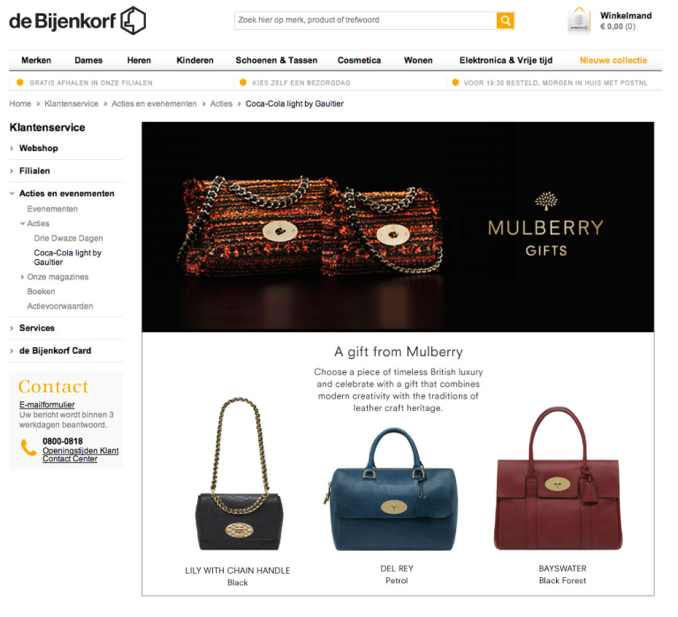 Mulberry needed to adapt their online content, including web and email, for their new collection for their various European markets. As one of the top luxury brands in the accessories sector, it was absolutely imperative that all copy was of the highest standard, handled with complete care and accuracy, and within a strict timeframe. Using our rigorously-selected translators and proofreaders, we quickly set up teams for each language, supervised by an overall project manager. As a first step, the project manager identified any important terms to be added to the client glossary and, once agreed, this glossary was used to ensure consistency of meaning across all languages. We rolled out the tested adaptations with minimum client revisions, providing a smooth and efficient service with high-quality, perfect outcomes. Mulberry were impressed with the speed and quality of the work, proving us to be a reliable and efficient partner to the premium brand.